Our spacious 40m2 guest house makes perfect base as a sleeping facility for two persons. B&B D' Oude Backerij is fully furnished with all comfort and privately located in the garden. There is a private shower and toilet and warm water basin. Coffee and tea is free at your disposal. Even on colder days your stay is very comfortable thanks to perfect heating coming from a cozy stove. There is also a TV and a fridge. Private parking is available on the premises only 20 meters from the room. 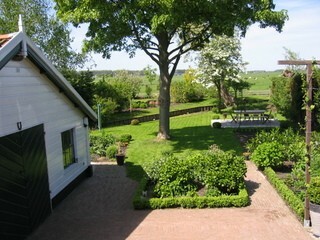 Just outside the room you can enjoy your private terrace in the garden with great views of the countryside. Breakfast is served here when the weather is pretty. The spacious B&B is suitbale for 2 persons and is furnished with all comfort including TV, free wifi and fridge. from 65.00 euro per night for a double room. You can order lunch for 7,50 euro per person. We rent out bikes for 5 euro per day per bike. 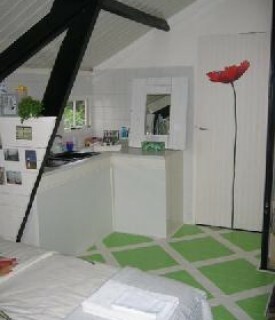 No experiences yet with B&B D'Oude Backerij. Be the first! 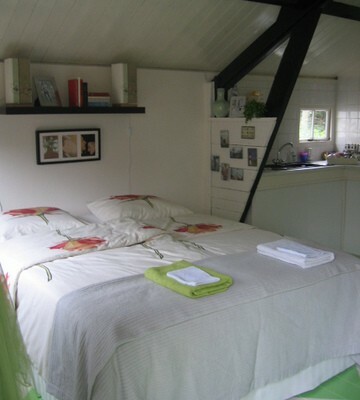 Did you stay in B&B D'Oude Backerij? Let us know what you thought about it and help others to make the right choice! * I confirm having stayed in B&B D'Oude Backerij. 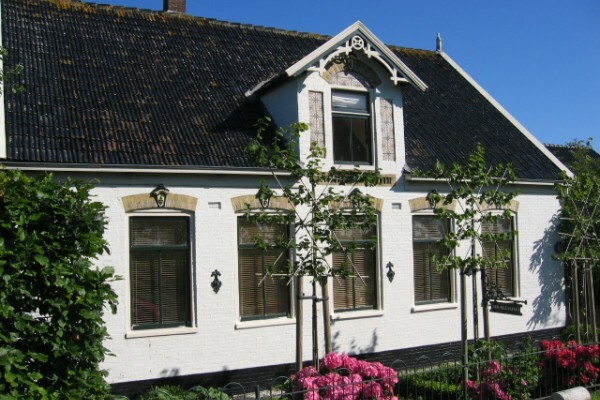 Find other bed & breakfasts in Zeevang or all bed & breakfasts in North Holland.